I can find zero information about that gorgeous first one. The second was commissioned from a coach builder, but the buyer died before it was finished. Apparently Jag bought it and used it for a time as an support car for racing Mark 2s. 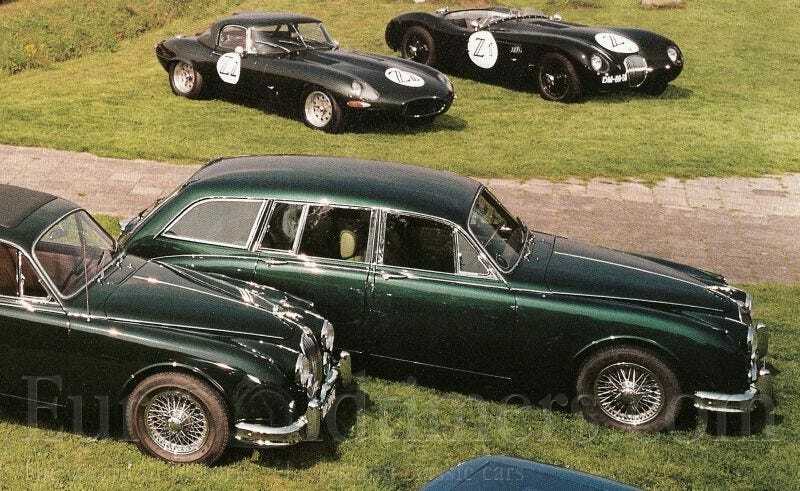 Estate XK150, because why not?